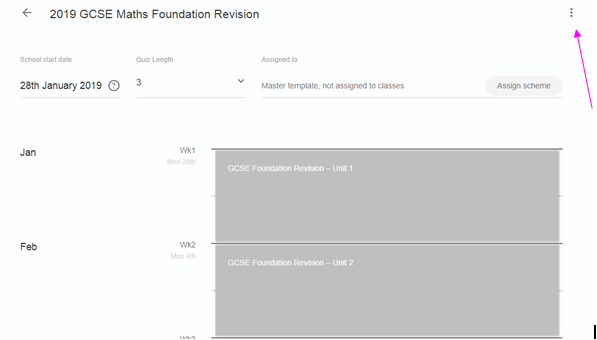 You can share schemes of work that you have created with the other teachers in your school. Please note- Your schemes can only be shared before they are assigned to a class and they will be shared with all the teachers that belong to your school. Rather than assigning a scheme of work to someone else's class, you can share your scheme with your colleagues and they can assign it to their own class. That way, they will be getting a copy of the master scheme and they can then modify it themselves. 5. Select 'Colleagues' under 'Share Settings'. And that's it! You just shared your scheme with your colleagues.